A series of illustrations made in commemoration of the animals who risked their lives in the pursuit of exploring the unknown that is SPACE. 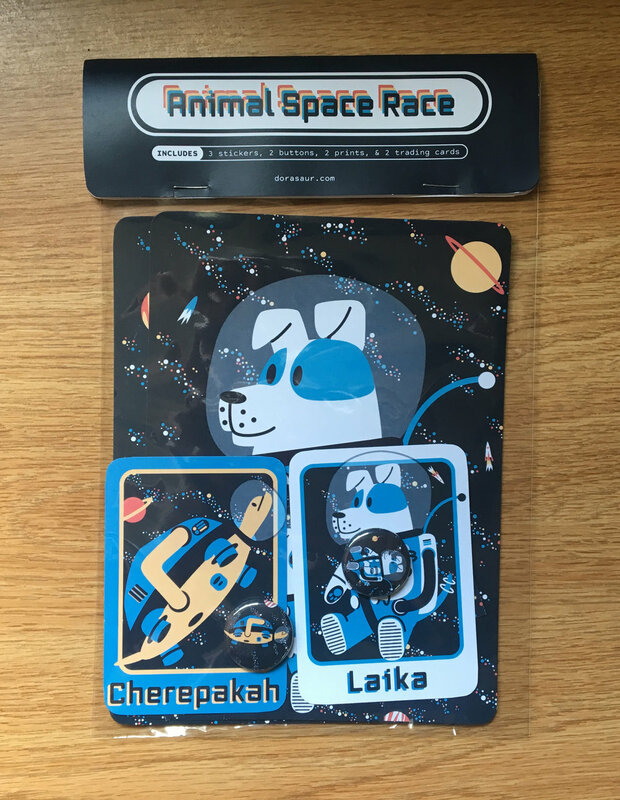 For this series of illustrations I did extensive research on all the animals that were shot into space so that these illustrations are accessible to children and educational. Each animal’s suit is based off the space suits used during the time period and country that sent them on their adventure.